I first made this cobbler for Thanksgiving. It was so good that I made it again for one of our Christmas dinners. The first time, I made it in a pie pan as suggested in the recipe. The second time, I made it in various size bakers. I used individual-sized ramekins as well as a couple of larger pans. Either way works, but I am such a sucker for those little bakers. My first instinct was to add some vanilla to the recipe. It just seemed like there should be some in there somewhere. However, I decided to stick to the original recipe and didn’t augment at all. The verdict? No vanilla needed at all. You may have a different opinion, but I think all that caramel is all the flavor this cobbler needs. Lightly grease a 10-inch deep-dish pie plate or shallow 2-quart baking dish. Set aside. Combine apples, brown sugar, and flour. Stir to coat apples. Melt butter in a large skillet over medium-high heat. Add apple mixture and bring to a boil. Cook, stirring often, for 10 minutes. Add pears and cook, stirring often, for 5 more minutes. Spoon fruit into prepared pan. Combine flour, oats, dates, sugar, baking powder, and salt in a large bowl. Make a well in the center. Stir together milk, butter, and egg. Add to dry ingredients, mixing just until combined. Spoon over fruit mixture. Bake at 425° for 20-25 minutes or until crust is golden brown. 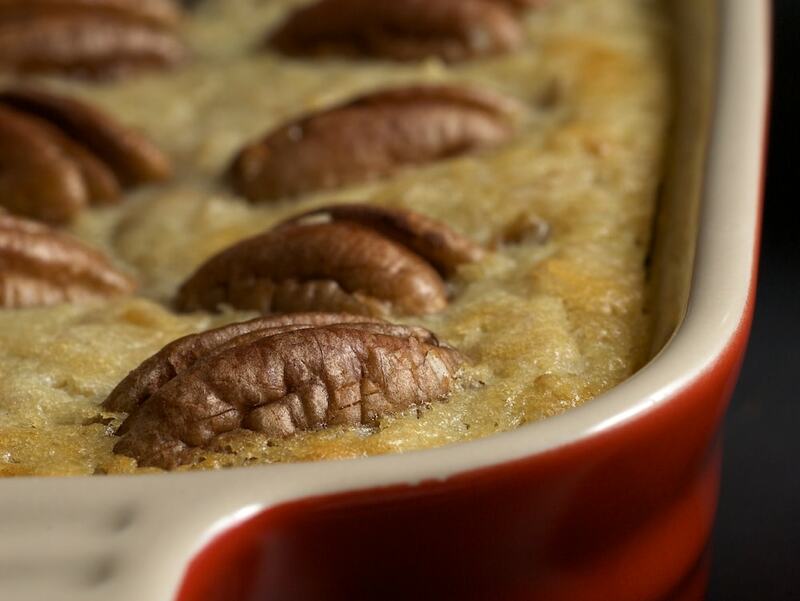 If desired, garnish with pecans. The crust mixture can also be made into 10 muffins. Fill lightly greased muffin pans two-thirds full with batter. Bake at 425° for 15 minutes. I agree, better late than never. The flavor combo in this cobbler sounds outstanding. 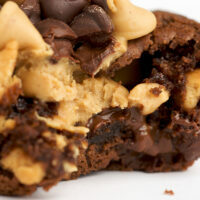 I would add a touch of peanut butter for a rich nutty taste! Mmmm, these look totally fabulous! Yum. They do look mighty yummy! And I love them in the little rammies. Nice portion control around here (says the girl trying to lose 10 lbs.). Anything you blog is better late than never! Looks delicious! oh this looks really good to me! 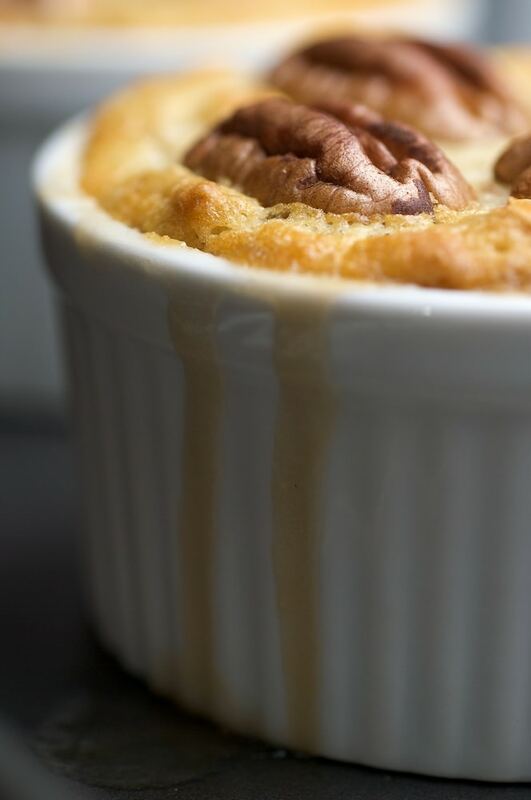 I’m putting a scoop of vanilla Haagen Dazs on my ramekin-size warm cobbler…yum! Yay… you’re back. Definitely later over never anytime. So good! 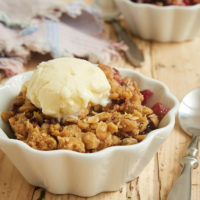 Ice cream (vanilla, of course) just adds decadence to this cobbler. I’m sure it is good without the ice cream, too. THANKS for making this for us during the Holidays. It was one of my favorites! Caramel and apples, is there anything better. Your pictures a wonderful! 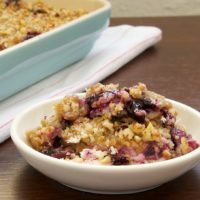 I was so thrilled to see another recipe of yours posted! This looks amazing, as usual. Thanks for sharing! Finally……a new recipe, and I like this combo of caramels and apples. The pics are excelent as well, nice job. check ut my baked alaska…..pretty proud of that one, hope you like it. Mmmm…warm caramel and apples on a cold day. Fabulous! I just received a new set of ramekins for my birthday. I think I may just have to try this! I’m a big fan of individual little ramekins — no sharing!! 🙂 Love how the pecans look on top. Just found your blog, and looking forward to becoming a loyal reader. Anything warm and sweet in ramekins is enough to have me hooked! wow. i. must. have. this. love dropping by for new, fabulous recipes! better late than never…they look delicious. wonderful to see you and your fabulous creations up again! Looks so delicious… 😀 I’d definitely like to have a bite. Wow, this looks amazing! You can’t go wrong with caramel and fruit. Yes, better now than never, of course. We missed you… A lot! Yes, better late than never, of course. We missed you… A lot. Glad you are back and with an amazing dessert too! Glad to see you back! The cobblers are beautiful and adorable all at the same time. 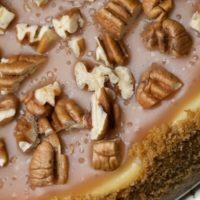 Caramel and pecans sounds like a heavenly combination. I’m a firm believer in better late than never. This looks great! I agree a good recipe is a good recipe anytime of the year. And this looks good! I love these little mini cobblers. I can’t think of a better gooey combination than caramel, apples and pecans! Wow, that sounds so simple and so tasty. Yum! Hi! I just stumbled across your blog and can’t decide which I like better…your recipes or your photos! 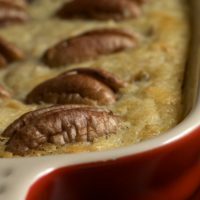 I’m a huge fan of food + photography so just wanted to stop by and say your site is great! p.s. this recipe sounds delicious! must try soon! That looks soo good. Everything you make looks good! I love your site so much, it’s really great! These look absolutely delicious! And, a lovely picture. Thank you. I am inspired. Yum! I was just thinking about an apple – caramel galette. 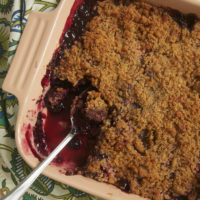 Cobbler might be easier and looks delish! !